"S And S Inland Star is the only place I trust to work on my cars, especially my 1975 450 SE. Sam and Scott, and their crew are experts in their field, and are extremely trustworthy. I don't even question them when they say something needs to be done." "A familial setting with excellent follow thru. A cost effective option to Dealership gouging. Thanks guys." "just as good as dealer service at a substantial saving. much faster as well"
"SandS always does a good job with very fair pricing. The staff are friendly and honest. They are always willing to help and explain the process as needed. My go to guys!" "Sam is so nice and definitely puts costumer satisfaction ahead of anything else. My car was fixed faster than if I were to take it to somewhere like Fire Stone. Quality work and cheap as well!!" "I highly recommend this shop, they took care of the problem with my car and plus other minor things that needed attention. I will definitely be back. Thank you for the service that was rendered, I was very satisfied. My car is back on the road and running great." "Sam & Scott will treat you well, do good work and can be trusted." "They do excellence work, quick and good prices, I always recommend my friends to them." "Sam and Scott are really great. Their shop does excellent work at very fair pricing. I have been a customer with them for a very long time and wouldn't think about taking my cars to anyone else." "They seem to care about their business, seem friendly but professional, reasonable pricing and upfront, willing to answer any questions, and they seemed to do a good job. I will continue to gibe them my business." 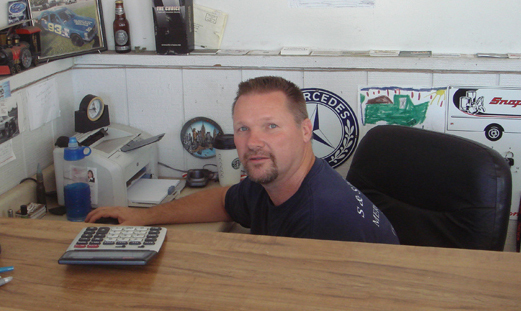 "S & S is where all need to go for service and repairs of Mercedes and so many types of vehicles. Knowledgeable and gracious, all there are everything a person would want of one serving their vehicle." "Very good place to take your car for repair and not worried about getting ripped off." "That they always do very good work and are extremely honest about what you need done to your car . I never take my car anywhere else !!!" "I was very pleased, excellent service I highly recommend S and S inland star." "Sam and Scott have always been very professional whenever I have had my car serviced there. They are very knowledgeable and always able to fix any issues with my car." 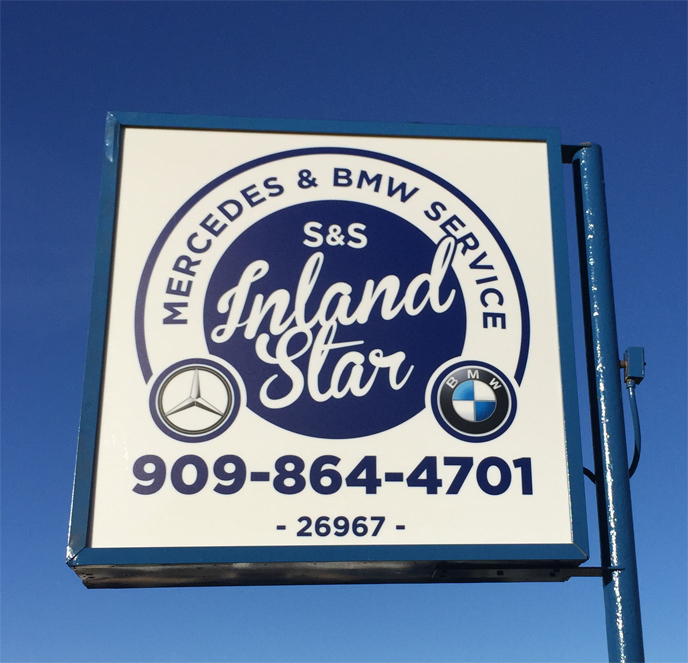 "If you want honest good quality service S &S Inland Star Mercedes is the Best place to find it." "I have told people that S and S is a more than reasonable auto repair shop for their Mercedes, now they’re a customer." "Had the awful ABS, ESP, BAS light problem. Took car to a shop on Yucaipa Blvd that was supposed to be good with Mercedes autos. They had the car for 10 day and couldn't tell me what was wrong with it, but told me it was not worth repairing. Took it to S & S and they told me exactly what was wrong the same day. It cost me $125 to repair it. Scott was terrific!!!! I give them 6 stars out of 5." "Professional, trustworthy, knowledgable, friendly and reliable. My car is running better than ever after taking it to S&S." "Great customer service. S&S is the only place I take my car. Very honest and their work is top notch." "Scott and Sam are the best. They are knowledgeable, fair and always do an excellent job on our car repairs. We can count on them to honest and get the job done right. We have used them for years so they have become good friends too." "They are the most honest guys around & their work is the best in the Inland Empire." "Very professional and helpful with a high standard of quality in performing the maintenance on my car.I am a very cautious person when it comes to maintenance on my car and I always ask questions. All my questions were answered professionally and promptly. In a friendly manner. I will be using them again in the future." "Very friendly people easy to talk to and you feel your car is in good hands." "The best BMW Service I've found since I purchased my BMW in 2004 ... including four different BMW dealer maintenance facilities and three other independent service companies." "I have been a regular customer for over 10 years. Sam and Scott ALWAYS go above and beyond to make sure the work is done right and at a price that is extremely fair. For our Mercedes cars I wouldn’t go anywhere else." "Sam and Scott provide excellent, personalized service. They are truthful, fair and always make servicing my cars pleasant experience." "They seem to be honest and knowledgeable in their business. They use technology available. I was especially impressed that i could make an appt online and receive a timely response. They texted me when car was ready and called. My car runs great! Prices are fair and i felt comfortable with what i paid for the work." "They provide excellent service and always have the car ready when promised. I would recommend them to everyone!" "Great people and very helpful what my vehicle needs. Great honesty! Will let me know when a repair needs to be done while working on something else, doesn't double charge! THANKS"
"Sam and Scott are trustworthy, honest, and friendly men, with years of Mercedes experience. They do excellent work in a timely manner and charge a fair price." "The best place to go if you want honest and great service on your BMW!" "Super honest guys. Quick work and quality service. A+ Will be coming again." "Very competent and thorough. Does not try to up sell. Extremely polite staff and owners." "Excellent service customer is treated with great respect. They are excellent mechanics!! I have been a customer for ten years. Thank you Bettye"
"Definitely take your car there! Honest and reliable. Can't find a better place to go....."
"I have been coming to Sam n Scott for many years n up till this day I have NOT been disappointed, They are always there for me .. you will get quality work n great customer service ." "Takes the time to explain details and options of what's going on with the vehicle. Very nice personalities as well." "I would say. They are my go to guys whenever my car needs any work. Also, if I just have a question about my car. They're always there for me." "This is a honest and professional quality business. I would recommend to everyone." "Great service, they made sure that everything that needed to be done was." "I am very happy and satisfied with the quality of work at S&S They are very thorough and dependable. Although I just had a regular oil change and service they were very fast and were able to complete the job while I was waiting for them. I am retired and only have one car and they are always able and willing to give me a ride home and pick me up when the job is finished. I highly recommend Sam and Scott to anyone that needs any service or repair on their car. "They do excellent work, reasonable prices, timely! I have referred many of my clients to them! My family has been using them for many years!" "Services were good! The owners were friendly and knowledgeable of my vehicle and provided excellent estimates of future repair costs. I will be using S & S from now on." "That you guys were the best with competent service with the honest and integerable service we all seek in our mechanic I'll never go to anyone else I've been a customer for over 15yrs of quality care." "Quality of work is superior and always a pleasant experience to visit the shop." "Sam & Scott are honest, over a decade of Mercedes service center experience, friendly, and they are considerably less expensive than any Mercedes dealer." "I am very satisfied with my service at S&S. I have always received the best Quality performance every time I have gone to their shop. I have been going there for about seven years and have always received courteous top-quality work done to my car. I would recommend S&S to anyone that has a Mercedes, BMW, or any high quality car. They are all Rees courteous and very helpful. They recommend service that may be due, and Service that can be put off for a little later. I would recommend them to anyone who wants top of line Service. "Excellent service, kept in touch with me about the status of the work throughout, performed everything in a very timely manner. Sam is a pleasure to work with!" "Excellent! I stopped on my lunch hour because my Mercedes had a check engine light and was running terrible. They took me right in, cleared the engine light and my car is running fine again. I even made it back to work on time. My car does need some additional work and I will definitely be taking it to S & S. Thank you guys so much"
"Very high quality and honest reliable service . Qualities that are hard to find with repair shops." "Sam and Scott are the very best mechanics I have found, and I have visited at least eight other shops before settling on their garage as my "go to" place for repairs. They are very kind, extremely honest, and they are both highly trained professionals with great knowledge of Mercedes Benz vehicles as well as others. I could not imagine a better shop!" "I always receive excellent service, quality work and a good price when servicing our MB cars. Sam goes out of his way to make sure everything is done right!" "Its the best shop that i know of anywhere around this area and i would highly recomend them!!??" "Excellent work and customer service. Experienced and very professional in their line of work." "High quality customer service and trustworthy personel. I would definitely recommend to anyone who owns a Mercedes. Sam and Scott are AWESOME and upfront with everything I needed to know with what's going on with my car." "They are knowledged in older Mercedes Benzes and have very reasonable rates and prices. I don't like taking my cars for repairs just anywhere, but these guys I trust." "Excellent work more affordable then dealership. Been working on my family's cars for over 10 years." "They saved me money in comparison to the dealer's quote, and did not try to sell me items that I did not need. My car was ready when indicated, and Scott provided excellent customer service." "The shop personnel is knowledgeable, professional and prices are reasonable. Very patient with my old '77 450 SL." "They will find the problem to keep you as a customer and won't stop trying good people"
"Sam and Scott are two genuine guys. They were up front with every bit of information that I needed to know. They take great pride in the work they do and provide excellent customer service. This was my first time taking my vehicle to them and as long as they are in business I will continue to do so. Thank you Sam and Scott! "Sam and Scott are two highly skilled mechanics who also just happen to be fine human beings. S and S Inland Star is the best Mercedes garage that I know of, and I have been to quite a few in the local area over the years. I could not recommend them more highly." "Very professional with me. And very honest. I will be taking my mercedes their from now on." "Go to S & S Inland Star!! They are REAL, they Rock, and they don't try to rip you off!" "S&S Inland Stars is the only place I take my E320 for service. Sam and Scott provide great service and don't try to sell more than you need"
"I have already recommended them to several friends that have Mercedes or BMW's." "High quality work and fair prices.. I switched to S and S 9n the recommendation of another customer and , like him, have received better, more honest service at S and S than any other shop I have patronized." "I would 100% recommend them to the most honest and best quality shop ive ever been to and very friendly with there customers"
"I would say search no more! S and S is the place to get excellent service for your vehicle and the personal are professional and friendly. I will always go there and I'm spreading the word!" "That they are just as good if not better than the Mercedes' dealership and the cost is a lot less." "S and S handled everything professionally with quality service. You should check them out." "S and S did everything I needed done at a great price within a timely matter. My car runs perfect now and I would definitely go there again." "was recommended by a friend and had excellent service. Sam and Scott are very professional and honest. I will continue to bring my BMW to them." "Sam worked on my car and he is a person of high principle and integrity. I have no doubts that he will take good care of my care and that means me and my family. Sam and Scott have created a business where anyone in need of car service/repair shouldn't hesitate to use." "I would definitely recommend S And S Inland Star Mercedes. The staff is professional and courteous." "Excellent, honest guys who really know their stuff and go above and beyond to provide exceptional service. Sam and Scott are very trustworthy and knowledgeable and I never have to be worried about getting overcharged for repairs or unnecessary repairs done. They've even offered to give me a ride home after dropping off my car and have sent a tow truck to pick up stranded customers." "Excellent, honest guys who really know their stuff and go above and beyond to provide exceptional service. Sam and Scott are very trustworthy and I never have to be worried about getting overcharged for repairs or getting repairs done that are not necessary." "SS Inland Star provides excellent service along with the convenience of minimal wait times. I'll only take my MBZ to SS Inland star!" "Sam and Scott and their team have always been responsive to service my car. I have been a customer for more than 10 years. My experience is that they are honest, extremely knowledgeable, very fair, and will go out of their way to provide the necessary repairs." "Quality of work and customer service are excellent. They value their customers and constantly go above and beyond to take care of them. They always take the time to answer any questions I have about my car. This last visit Sam exceeded all expectations and really helped me when I was in a stranded situation." "The owners have years of experience working on Mercedes'. They have wonderful personalities and great customer service along with their Mercedes expertise." "The two gentleman who run the shop are very professional and great to do business with." "As usual, the service was done 'top notch quality', timely, and reasonably priced. Love your new shop. Thank you Sam and Scott. Rick"
"I CAN HONESTLY SAY I HAVE FOUND A COMPETENT AND TRUSTWORTHY, AS WELL AS A GREAT COMPANY TO WORK WITH, I SHALL RETURN." "Service is great and cost of service is very reasonable. I am very pleased with this shop that I keep referring friends." "That you guys are honest and trustworthy and you won't gouge us on price of repairs like most Mercedes repair places." "I'm happy with the services provided but more important I trust the honesty of Scott and Sam"
"Great service. Quality work which you can trust--they are honest when telling you what your car needs." "I have used S and S for years and I am very happy with the quality of work, very good pricing, and excellent friendly service." "Excellent shop. Work was completed in short period of time. great experience. my car is as good as new." "Sam, Scott and the employees are all professional. Your in good hands when getting and meeting the service needs of your vehicles. :-D"
"Their work is excellent, the car is ready to go as scheduled. You can expect quality work." "Sam and Scott, you guys rock. maybe you could subtitle your place "Two Guys Garage." NO? Oh well. Seriously, Sam and Scott are the most honest, finest mechanics I have ever met. They deserve all the business they can handle. I have even bought a Mercedes from them, and it without a doubt the best car I have ever owned. I have been going there for over ten years and I consider them family." "You guys are TOPS and I have had Mercedes for 30 years. No haggle, you say what's wrong and suggest what could be done. This to me is what I want from my car advisor. Thank you. I had been a customer of the dealer for twenty of those years, now I found you. And you are just down the street from my workplace too." "They offer friendly and exceptional service and won't do anything that doesn't need to be done." "That you are great and can be trusted not to overinflate repair costs just to make a buck. I like the quickness of the service as well... you always strive to get the car done in same day or day later." "Great!!! They have been taking great care of my Merc since around 2008!!" "I recommend S&S to all my friends and coworkers! Not cheap, but definately worth it. (Cheaper than the dealership) All great dedicated people there." "The shop is honest and down to earth owners, very reliable, reasonable prize, family oriented people and lastly very good customer service. Sam and Scott (Owners) are very good people to work with. I will definitely go back again for any repairs in the future." "I was very skeptical about going through these guys the first time, but the quality of work and the customer service I received definitely changed my mind. These guys know how to work with high end cars, which is why I chose them, because you can't go anywhere for great work and at a price that wont break the bank. I originally checked out the S and S Inland Star because I had heard they were very knowledgeable when it comes to high end cars including but not limited to, Mercedes, which is what I drive. They help you find relatively inexpensive solutions for major problems that would otherwise cost you a fortune going through an actual dealer whom you would trust. Its nice to have found them. They give quick and trusty service. I will be going back to them." "Excellent customer service, no pressure sales, honest and straight forward repairmen. They diagnose the problem, repair it and get you back into your vehicle on time every time." 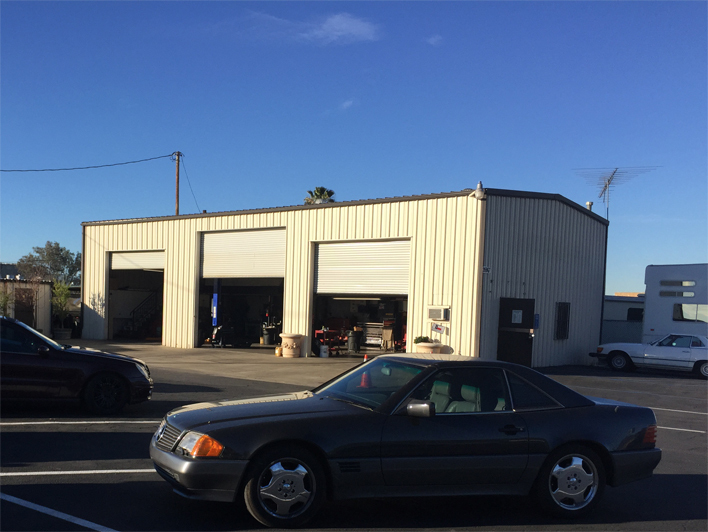 "S & S Inland Star auto people are honest, informative and caring people that get the job done in a very timely manner with good reasonable prices. I always feel in good hands. We will recommend their care to all concerned." "This is the most honest service shop that I ever utilized. 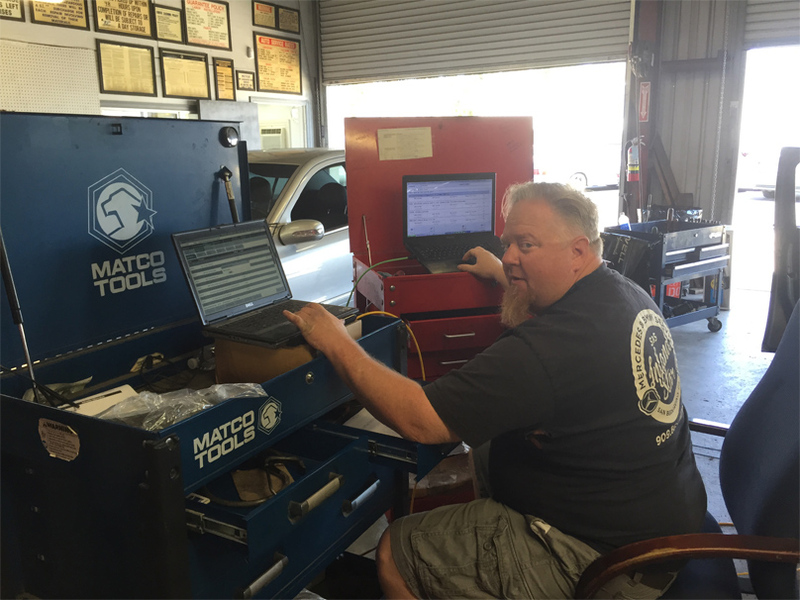 I will continue to use and refer people to this repair shop without hesitation." "this is "the shop you go to whenever you need work done" very good work"
"Sam and Scott are stand-up guys who provide excellent service for anyone in need of work done on their car. I've been a customer for a handful of years now, and I couldn't be happier." "Great and friendly service and I trust that only what absolutely needs to get done will get done." "Excellent. I trust S and S Inland Star to be the only shop to repair a d/or maintain my car." "I have been having my X3 serviced and repaired at S and S Inland Star for a couple of years now and rate the customer service and quality of work the highest I've ever experienced. Scott and Sam are professional, knowledgable and very kind. I work remotely and when I need to get my car serviced, I am able to work from their shop since they set up a desk work station and have wi-fi. I was living in Lake Arrowhead when I first starting coming here, but now I live in Bishop and still came here to have work done on my car. I trust Sam and Scott and highly recommend them." "This is a great shop. I was a General manager of Volvo and Porsche dealerships, and know what a service center should be. S and S are a quality shop with reasonable prices." "of course...I recommend you highly your work and professionalism as well as integrity, honesty is superb. keep up the good work and care that you guys display for your customers." "Excellent..I Always quality service w/o long waits. I would recommend Inland Star to everyone." "Awesome!!! Love Sam and Scott they are great, smart, and down to earth knowledgeable mechanics!!!" "One of the most inexpensive and reliable german automotive repair specialist in todays market..."
"They care and they are really good and fast service .... N there price are good not like the dealers for Mercedes . They rip u off ....... I love this place and if I met any one with a Mercedes who need help with fixing there car this is the place I would tell them ... Thank God for S And S Inland Star ..... They really care n want help you ..... I need brakes n I had went to Walters they told me it would be $1700 I went to Inland they told I need pads Walters told me I need beaks pads n Rotors n that I need replacements of every brake etc , they don't care they see u coming if you have the money they will get u .... This is the place for me n I will keep coming back cause they care for u and your care ..... Great customer service ...... Good job Inland Star ..... Thank u for caring and for your honesty ....."
"Friendly owners and mechanics with longevity in this business. I have already referred a friend to them." "I have always received quality service and have recommend the shop to others." 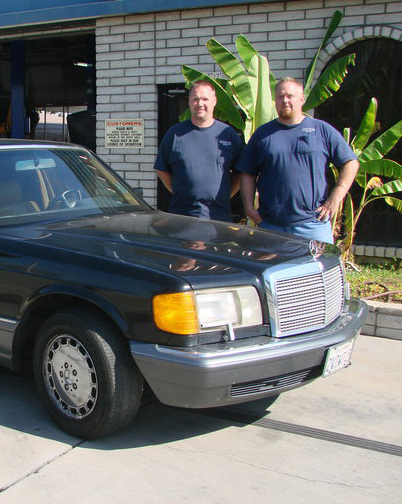 "We've been going there got years and inland star has always been our go to hit our Mercedes. Honest and reliable!" "This is the best, and by far the most honest shop in the IE, period. I would absolutely recommend Sam and Scott to anyone. Their prices are also extremely reasonable; I mean, how many places can you find where they actually try to save you money?" "Scott is by far the best mechanic Ihave ever ran across. He has amazing customer service. Being a women it's hard to go get your car worked on because I sideways feel like they rip you off. Scott has always been so great step by stepand has always aassured me. He's the the best!!!" "Great quality of work and excellent customer service. I recently purchased my 16 year old son a used Volkswagen Jetta that needed some substantial work based on the fact that I could rely on S & S to bring the car back to life. The repairs included Transmission Valve Body, major tune up, trans service, belts, hoses, injectors, suspension, alignment, and interior replacement parts. Scott and Sam are awesome and so is the car." "They are honest and trustworthy...do good work and stand behind it the old school way....and have fair pricing. Real great guys! I would recommend them to all my family and friends." "Very friendly and very good at answering questions, and excellent at giving helpful information that helps you decide your next steps." 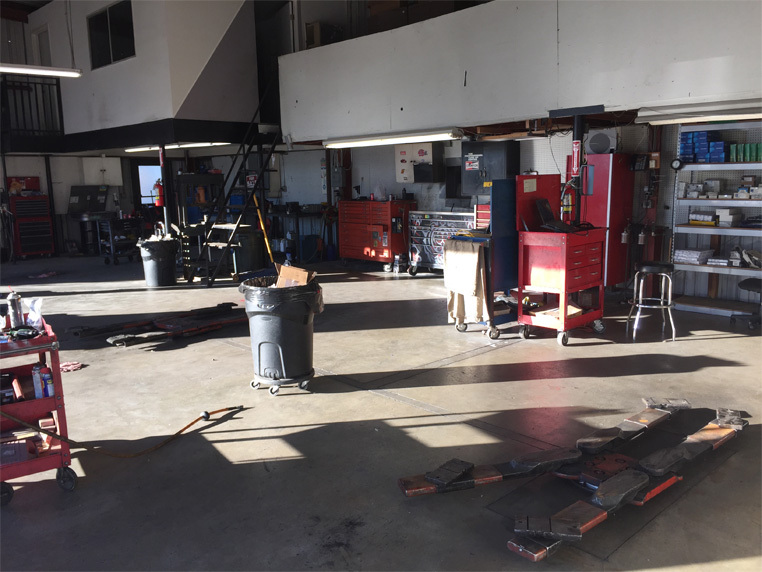 "It's very, very difficult to find an affordable, honest shop with highly skilled mechanics who care about the customers. Sam and Scott are absolutely the finest pair of professionals I have ever had service any vehicle of mine, and I have been to many, many shops over the years. I admire their integrity and I deeply appreciate their compassionate, caring attitude. They are also complete experts in all phases of Mercedes Benz maintenance and repair, having been trained in Stuttgart, Germany to provide the highest caliber of service possible. I have recommended them to several friends over the years and they all were as pleased as I with caliber of work and quality of service. Add to all this the facts that they have a well-trained staff of assistant mechanics, the latest equipment for diagnosis, service and repair, and great senses of humor, and you have a winning combination if ever I have seen one. What's not to like ? You guys ROCK!!" "I would tell them that I have known Sam and Scott for many years,even before S and S Inland Star. I have my parent's 1975 450SE and Sam has been working on it for 20 years. He and Scott and their staff are expert's in MB's. They are the most trustworthy, honest auto tech's I have ever come across. Their prices are more than fair, and if they say the work needs to be done, you can be sure it does!!. I would NEVER consider taking my cars to anyone else. In this day and age where there are so many unscrupulous auto mechanics, it gives great peace of mind that at S and S Inland Star you are treated with respect and your car is in the best possible hands.. I have recommended them to friends and family, and have never heard a complaint!" "S & S Inland Star Mbz' do wonderful work. The employees are very professional and are there to serve your auto repair needs."